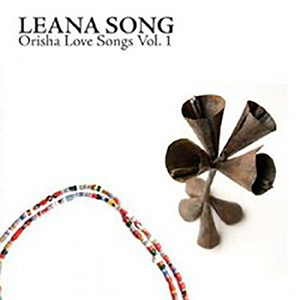 Leana Song was started by Shawn Hennassey in Northern Liberties Philadelphia. It started as a drum workshop specializing in Bata drumming and Ewe drumming from Ghana. I had just moved into town from Brooklyn, and I pretty much became immersed in this family. The group eventually started playing shows such as a longtime residency at the Philly famous Ortliebs jazz house. At times it was as big as 15 or more people, and it felt like a religious ritual experience for the crowd that showed up to primarily dance. Shawn had started taking the bata and ewe rhythms and adding western chord structure to them, and that was the doorway in which horns, classical guitar, piano, and upright bass were added to arrangements. This record was recorded at Tom Spiker’s studio and released in 2008, and was an audial photograph of an era in our lives at the time. But then again.. aren’t they all kind of like that.